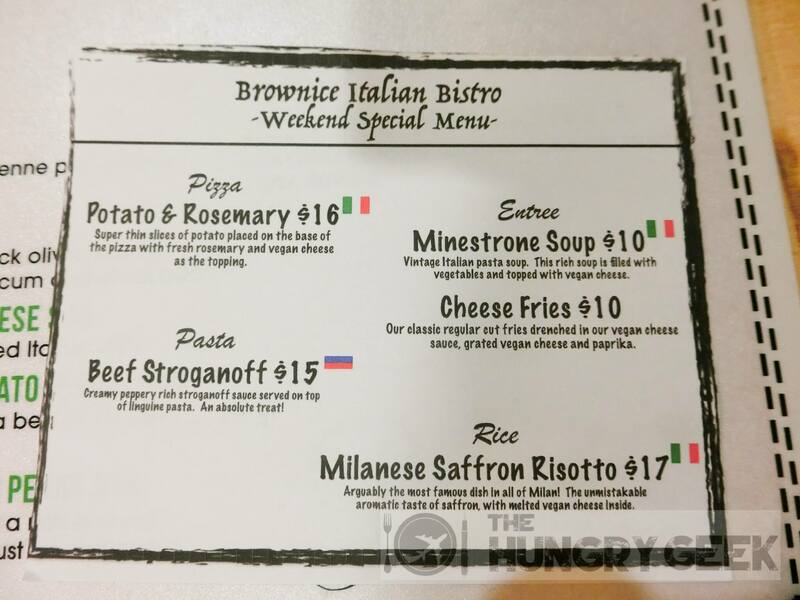 Brownice Ice Cream is the first dessert place in Singapore to serve low-calorie, low-GI, low-fat, vegan-friendly and dairy-free ice cream made from organic brown rice. Yes, you read that right. 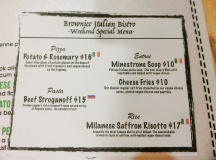 Brownice’s ice cream concoction does not use milk or eggs. They use organic brown rice as a substitute. The kicker is that the ice cream is still REALLY DELICIOUS! 1. Less calories – on average, Brownice ice cream only has 30% of the calories of a regular ice cream. The owner claims that this has been verified by laboratory tests. 2. Low glycemic index – the use of brown rice instead of milk and cream, and the lack of any added white processed sugars means that their ice cream will have a low glycemic index, making this healthier and good for those trying to lose weight. 3. Low fat – for those that still believe in the benefits of low fat foods (your science is outdated), you can check this box here. According to the owner, tests by the Health Promotion Board have found that Brownice ice cream has less than 10% fats compared to regular ice cream. 4. Acne friendly – no dairy products inside, so if you are fighting off an acne outbreak you can rejoice. Yes, avoiding dairy products is one of the best things that you can do to prevent or fight an acne outbreak. 5. Vegan friendly – the dessert products here can be eaten guilt-free by vegans and vegetarians. If your religion requires this or if you just have something against eating animals, this is another check box for you. In case you were wondering, Brownice is not paying us for this review 😆 – we were just completely astounded when we found something that was so good existed. 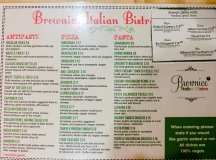 Brownice currently has two branches. 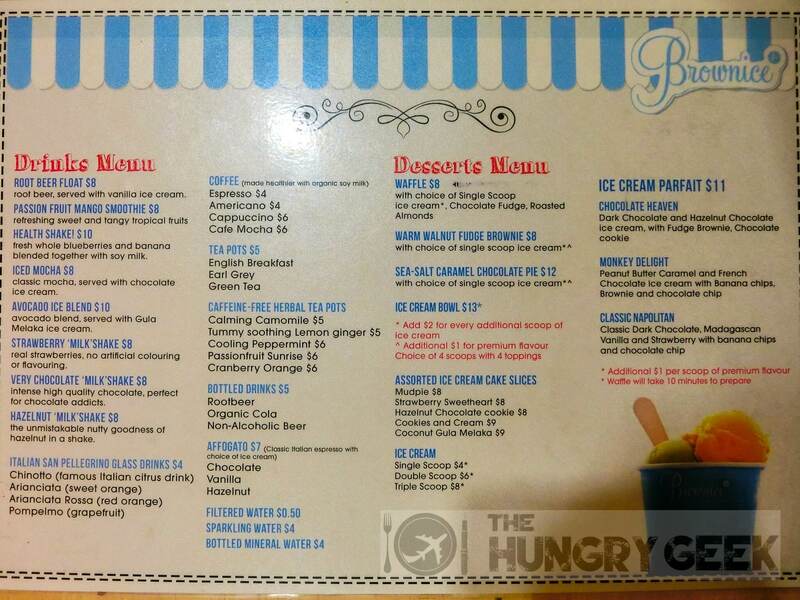 Their first branch is at 8 Sin Ming Rd at Thomson, and it has more of a dessert cafe sort of feel. You enter and you will see the usual ice cream trays and they also have pizza! The second branch at 53 East Coast Rd is the one that is the subject of this review. 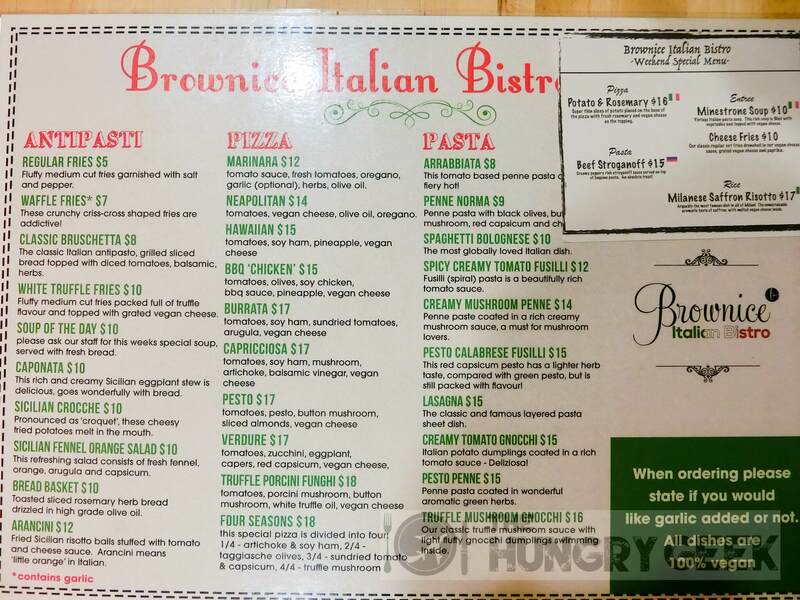 That branch serves full Italian cuisine (not just dessert and pizza) and has a more Italian bistro feel, kind of like a cross between a proper cafe and a restaurant. As you would expect, the dessert cafe at Sin Ming has a self-service system, while the Italian bistro at East Coast Rd provides the full service. We have encountered nothing but top-notch service at both their outlets. Our first trip to Brownice at Thomson was a really memorable experience. The server recommended the dark chocolate flavour, and we ordered it not knowing what to expect. The taste is unlike anything that you would expect! Sure, it tastes like ice cream, but without the milk and the cream, it tastes pretty different for sure. Personally I am a fan of brown rice – it is something I eat almost everyday for health reasons. I was hoping that brown rice ice cream would be something delicious. I wasn’t disappointed! The dark chocolate ice cream from Brownice grows on you. After that unique taste from the first bite, the second bite grows on you and soon you will enjoy it like any other ice cream. One scoop leads to the next and you wish that you had more! We come to a rating of 3.8/5 for the dark chocolate ice cream on its own. They have released a couple of new flavours and we particularly like their chocolate tangerine flavour that has a dash of orange – that flavour actually tastes very close to premium regular ice cream! Their chocolate tangerine gets 4/5. A single scoop goes for S$4, and a double scoop for S$6. You add S$1 per scoop for premium flavours. We remember seeing a couple of people eating waffles on our first trip there, and on the server’s very strong recommendation, we decided to order one for ourselves on our second visit. I am a waffle fan and it is my favourite dessert. Yes, I have been on waffle hunting trips as well and I have probably tried most of the top 10 waffles in Singapore. I was still extremely impressed by the waffle standard at Brownice Thomson. Waffle aficionados would know how hard it is to find waffles of the perfect crispiness. The kind where after a bite into it with a goop of ice cream you get this absolute eureka moment. Brownice’s waffles at Thomson delivered perfectly. It had the perfect crispiness and taste. If we throw a scoop of Häagen-Dazs Belgian Chocolate ice cream on top of it you would likely have a top 5 waffle in Singapore. It also goes very well with their dark chocolate ice cream and we rate this delicious creation 4.2/5. The price for a waffle with a scoop of ice cream goes for only S$8. This is probably the best value waffle ever in Singapore and if we gave extra points for ‘value for money’ we would have given full marks to their waffle. Yes, this is S$8 for a low calorie, dairy free, acne-friendly, low-GI and vegan-friendly waffle ice cream. Take that Geláre. Please note that we found the waffles at their Thomson branch slightly better than the ones at their East Coast branch. It is really difficult to get the correct timings down and it may be just a little off at East Coast. This just looks so delicious and having a look at it again I really feel like going down to Brownice to get another one. I would say that this is an enhanced version of their dark chocolate ice cream with a nice textured taste. We rate this 3.8/5 and it will set you back S$8. We had come to Brownice only to eat their ice cream waffle right after a very filling dinner. However, Sheryn 😛 couldn’t resist the cheese fries that was sitting on someone else’s table. We ended up ordering one serving of cheese fries. And as you can see from the picture, it looks really good! Unfortunately unlike their super delicious ice cream, their cheese fries does indeed taste like healthy vegan food. It is some way off compared to the best cheese fries that we have tried. However, as a healthy option it tastes pretty decent. If you are a strict vegan these cheese fries will probably taste heavenly to you. We rate these 3.5/5 and you can get them at S$10. Please note that these cheese fries are only available at their East Coast branch on weekends. This cool organic cola was sitting on our table. Unfortunately it was a bit out of our budget at S$5. Dear Brownice Ice Cream owners, if you are reading this please open 20 branches all over Singapore by the end of the year! I will willingly plonk down large sums of money to invest. 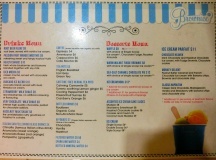 They have deliciously healthy low-calorie vegan-friendly ice cream and waffles with a similarly delicious price tag. Now, if there was a Brownice branch across the road from my house I’m pretty sure that the ‘low-calorie’ tag wouldn’t be able to save my weight. If they could get their mains and appetisers to taste as great as their dessert I’m pretty sure the regular unhealthy restaurants would be out of business in a heartbeat. Green Waffle Diner @ Causeway Bay In "Hong Kong Small Bites"
Happy Land Cafeteria – Nasi Lemak & Ice Kacang In "Malaysia Hawker Food"